The Screen Plays Database … now LIVE! 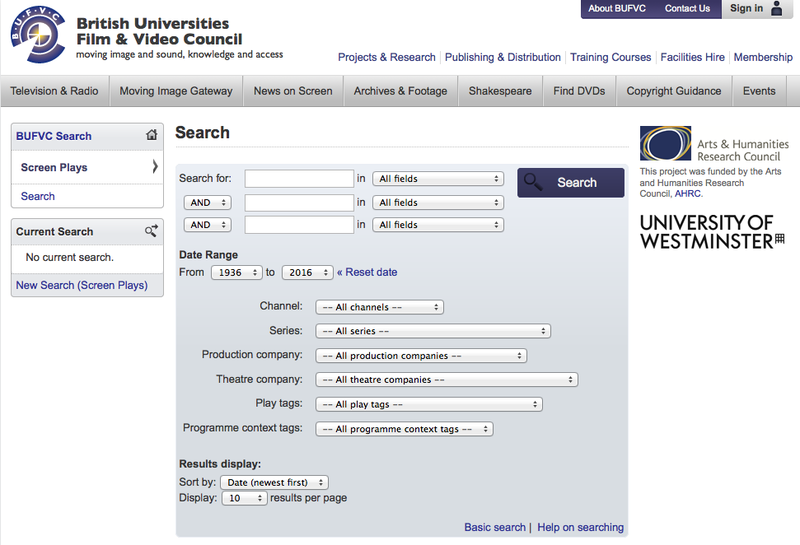 We are delighted to announce that the first phase of Screen Plays: The Theatre Plays on British Television Database is now available on the website of the British Universities Film and Video Council (BUFVC) at bufvc.ac.uk/screenplays. 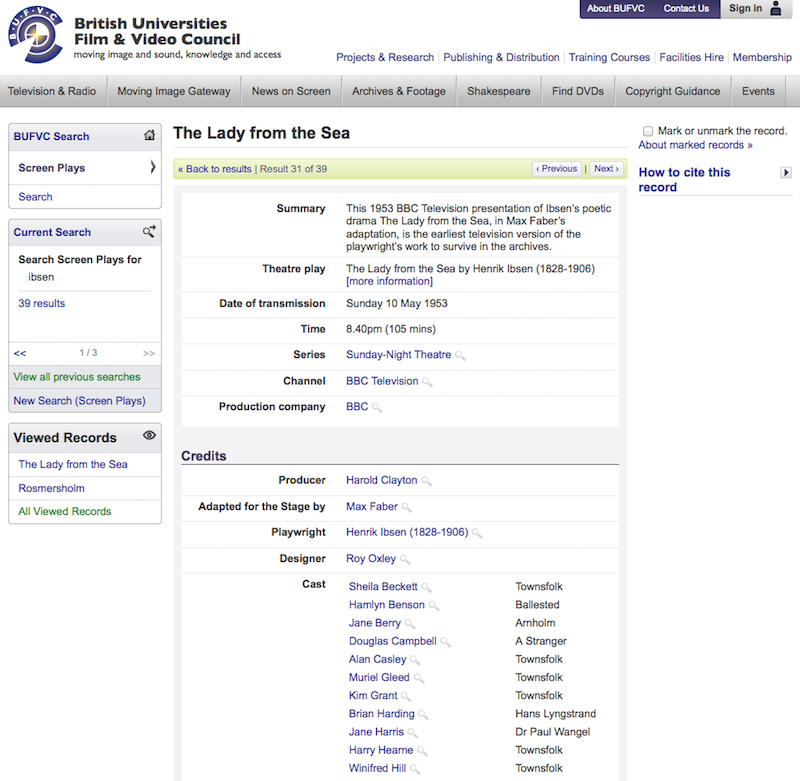 The Screen Plays Database documents British television productions of plays that were originally written for the theatre. 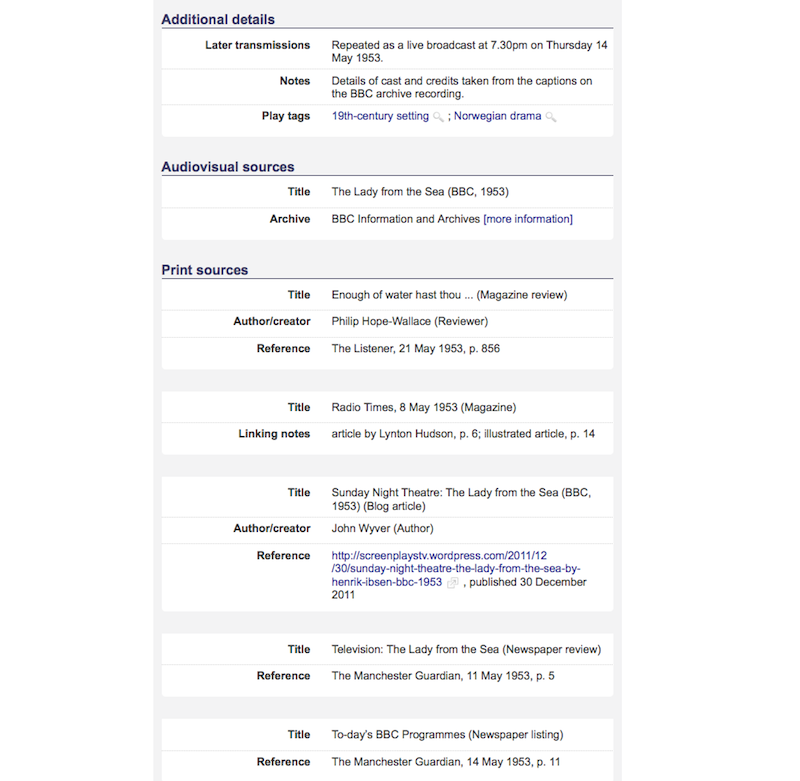 In this first phase, the “soft launch” version, it features information about productions of theatre plays from 1936 to 1965, the years in which the BBC and ITV transmitted over two-thirds of the 3,000-plus televised theatre plays that have been made to date. Also available are a selection of records for post-1965 productions to which we will add substantially over the coming months. The database features cast and credits lists for most of the productions included, as well as information about the television production and the theatre play on which it was based. It also offers information on the audiovisual and print sources that are known to exist for each of these productions. The website itself has guidelines on how to make the most of the search facility. We regard this version of the Screen Plays Database as an initial draft which we hope will be useful in this form. But we recognise that there is much work still to do, and we welcome all additions, corrections and suggestions for improvement; please e-mail these to screenplaysdatabase@gmail.com. This resource is one of the major outputs of the AHRC-funded research project Screen Plays: Theatre Plays on British Television which ran from 2011 to 2015. The Principal Investigator on the project was John Wyver and the Research Fellow was Amanda Wrigley. We are grateful to the AHRC, the University of Westminster and the BUFVC for their invaluable support. We hope you enjoy exploring the database and we look forward to learning your thoughts and responses.